... It was great to talk to all these people from all over the planet. For example, in a busy restaurant I had to join a table with a couple in order to get any seat. They turned out to be two Americans who had been living for decades on the island of Guam, in the Pacific Ocean, a couple of hours flying to the east of Japan. It was a very athletic tall guy, president of the local union, and his wife. They traveled a lot, but to get anywhere from their tiny island they always had to fly to Japan first and get connecting flights there. They told me about all their struggles against the corporate tyrants of the island, and how people worked against him as everybody knew he was the union leader on the small island. It’s strange to realize that all these small societies exist in the middle of the great Pacific. They also knew a lot about technical developments like nanotechnology, which makes all kind of manipulation by experts possible. It sure made me think. The registration, the day before the WSF started, was a mess and during the first day it was even pure chaos. We couldn’t find a single meeting, the numbers of the room were all wrong, and none of the volunteers or WSF staff knew anything about what was going on. My friend from Italy who had lived on and off in Nairobi for years, assured me that that’s all very normal in Kenya. But on the second and third day everything started working, and the conference became a success anyway. It was great to visit all the workshops and hear about problems and solutions in a way you don’t hear elsewhere, and meet so many people from all over the world. My favorite place to eat and lounge in Nairobi was Simmers. An open air bar annex restaurant frequented by all kinds of people: business men, conmen, hustlers, travelers, etc. 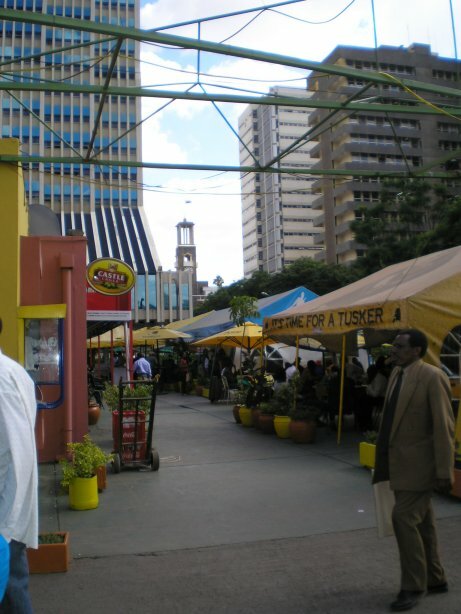 I would pick up the national newspaper, the Daily Nation or The Standard, and have lunch there. They served great chicken sandwiches and coffee. Sometimes it was so busy that you had to share tables with people. It was a nice way to get into conversation with interesting people. Many Kenyans were eager to meet and talk. They are interested in foreigners and are also eager to make deals of some kind, although they themselves don’t have a clue what kind of deals - they hope you come up with some idea. Most Kenyans are friendly and helpful, though a bit reserved. 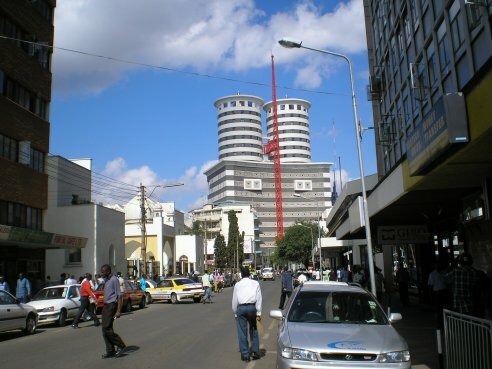 But Nairobi has a reputation for it’s conmen and scams, too. They have some story about having met you before (and you’re too polite to say that you don’t remember) and then they either try to sell you a safari, or take you somewhere where they hope to steal your wallet. Most are them are comical rather than threatening, and you can spot them from a mile distance (a guy on the street with a polished smile coming to you, loudly repeating “My friend!” every ten seconds. Still, I didn’t feel unsafe in Nairobi. It has a bad reputation – inhabitants call it ‘Nairobbery’ – but I think it’s exaggerated. If you stick to some simple rules – don’t walk in deserted streets or areas, take taxis after dark, be aware of conmen – nothing is going to happen to you. Me and my friends even did walk around at night in the city centre. We simply kept together and kept walking, and then nobody is bothering you. Only at one moment I felt unsafe: when we were driving back to the city at 10 PM in a matatu and the driver was driving like crazy with loud rap music on. I felt we could get robbed any moment.